Stretch Goals Completed at EverQuestNext.com! Fans of this game don’t disappoint, and in less than a week have also completed the three stretch goals added to EverQuestNext.com. 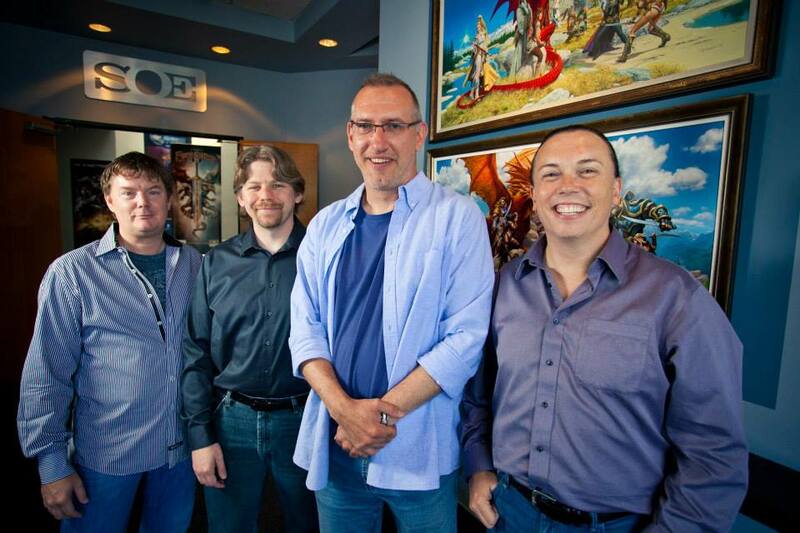 Keep an eye on SOE’s EQNext Facebook page for the promised early sketch reward! EverQuest Next‬ team members Jeff Butler (Creative Director), Terry Michaels (Senior Producer), and Dave Georgeson (EQ Franchise Director of Development) with Gabor Szikszai (fantasy artist). I’ll be attending SOE Live this year and will be sure to share a picture of the poster they’ll be handing out as time allows. Make sure you’re following the my Twitter account for on-the-fly pictures and information! The excitement is definitely building – I can’t wait for the big reveal in a mere 10 days!